Today, the black woman has been sexualized and objectified in more ways than one. With the degradation of the black woman, the value and uniqueness of them has been ignored. The media offers a made-up truth about black women, and society has swallowed this stereotype. This means Hollywood has a narrow perspective of black women, and only represents a select few. In movies and TV, black women are either a struggling single mom or a successful strong business woman who can’t find love anywhere. Issa Rae, the creator of the hit HBO show Insecure, has come to not only change this narrow-minded portrayal of black women but to also show the many types of women within the black community alone. We are all different. 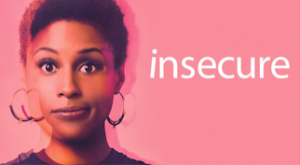 Insecure is a sequel of the web series The Misadventures of Awkward Black Girl that follows Issa, played by Issa Rae. Issa is a 29-year-old “insecure” woman who struggles with everyone’s depiction of her. Although she tries to defy them, stereotypes seem to follow her and ignorant questions become the norm of her everyday life. Issa Rae’s content follows the different sides of women of color and how multidimensional Hollywood’s depiction SHOULD be. Insecure is just what we need in today’s Hollywood and so I looked for a TV fan who could offer some analysis. I found Janelle Jones, whose work I read as a student of inequality. Janelle Jones is an economic analyst at the Economic Policy Institute. Her work focuses on unemployment, job quality, racial inequality, and economic development. She is an alum of Spelman College, where of which she received her BA in Math. She has an MA in Economics from Illinois State University. Q: Issa Rae believes that Hollywood’s representation of black women isn’t relatable. Do you think Issa Rae is achieving her goal to change that representation? JJ: I think Hollywood representations of black women are incredibly narrow, and that makes them not relatable to so many. There are three common depictions that have even the slightest focus on black women: some kind of tragic tale about struggle and redemption, black women as the sassy best friend, or black women in the strict position of service. The thing I love the most about Issa Rae and Insecure is this complete human story that centers on a black woman. The HBO series is an extension of her popular web series The Misadventures of Awkward Black Girl (great title). The ability for black women to be silly and awkward is not something we get to see on mainstream television. Q: What direction can we go in (what else needs to be done) for Hollywood moving forward? JJ: Shows like Insecure (and Atlanta) are taking huge steps forward by showing complete stories centered on very normal aspects of black life. Another huge step would be more people of color behind the scenes, as directors, writers, producers, etc. Part of telling a genuine black experience on TV is making sure that story is in black hands throughout the process, from conception until it reaches the audience. This is particularly hard to do when only certain aspects of the production process are entirely white. The fact that four blacks, Issa Rae, Prentice Penny, Melina Matsoukas, and Larry Wilmore, are in charge of every part of Insecure is obvious, from the dialogue to the fashion to the soundtrack to the locations. Q: As a Spelman alumna, you’ve probably met women of color from different walks of life. Do you agree with Issa Rae about Hollywood’s representation of black women? JJ: The first and most lasting lesson I learned at Spelman is that black women are not a monolith. At times there feels a societal need to put us in very rigid boxes: strong, maternal, angry, loud, etc. To me, Issa is saying that black women are those things but also friends and lovers, and awkward, and ambitious, and flawed. And because Issa is the creative force behind the show, and not just the main actor, it feels very real. The experiences of black women filtered through the white gaze feel very different than Insecure. It’s that authenticity that I think black women specifically recognize, respect, and enjoy it. Eunice Owusu is a sociology major at Framingham State University and a Council on Contemporary Families Public Affairs intern.